Unlikely doesn't even begin to describe Porter Robinson's rapid ascent to the forefront of the world of dance music. Hailing from North Carolina, 18-year-old Porter Robinson had never set foot in a club when his smash hit "Say My Name" shot to number one on Beatport's Electro-House chart, making people do just that on dancefloors and DJ booths across the globe. 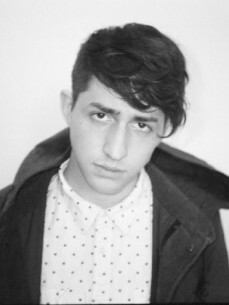 Complex yet catchy, and classic yet cutting edge, Porter Robinson's instantly recognizable sound has earned him the raving support of legendary producers such as Tiesto, Paul Van Dyk, David Guetta, The Crystal Method and Armand Van Helden, and landed him shows across the globe – all before he has even had the chance to finish high school. Some might call Porter a prodigy, but that label belies his musical maturity and ignores his years of production experience, which reveal themselves in the way he blends the best of seemingly distinct genres into a style uniquely his own. His massive electro hooks paired with nasty dubstep warbles and shimmering trance breakdowns transcend tired genre adjectives like "progressive" or "fidget", taking listeners into an uncharted territory of hard-hitting house music.